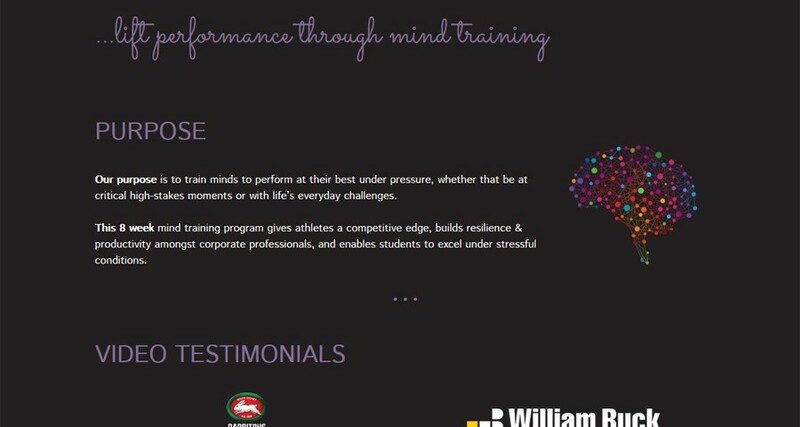 Out of Your Mind are corporate mind trainers to some of best and the most brilliant in Sydney and Australia – South Sydney Rabbitohs, William Buck and Lend Lease among them. We had the privilege of creating the website for Samantha and Derek. Working under an extremely strict deadline, we were able to create this beautiful “one-page”, simple but elegant, responsive website. The client was able to view and review the progress of the website as it progressed and give continuous input and feedback to make sure that it met their exact needs. 8WEB continues to provide hosting and on-going website maintenance as well as newsletter management services to the client. Hela and Edwin are brilliant to work with. They are flexible, accommodating and incredibly practical. Nothing is too hard for them and if they don’t know something, they’ll tell you they need to do some research and then they go work it out and get back to you. 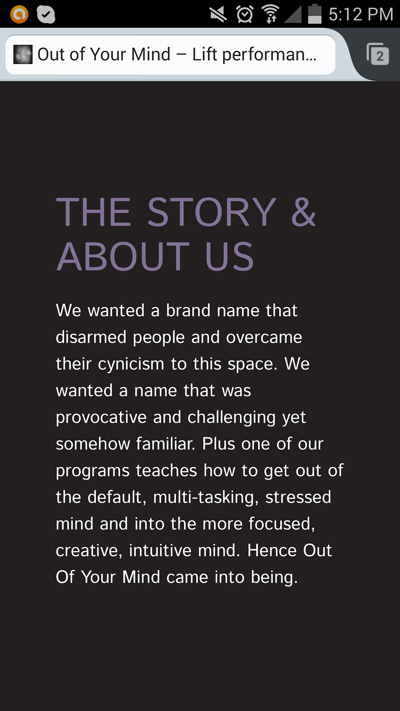 We have so enjoyed our experience of creating and maintaining our website with them. Aesthetically, it’s one I love to keep coming back to, which I can only assume is also the experience of our clients. Thank you Hela and Edwin. 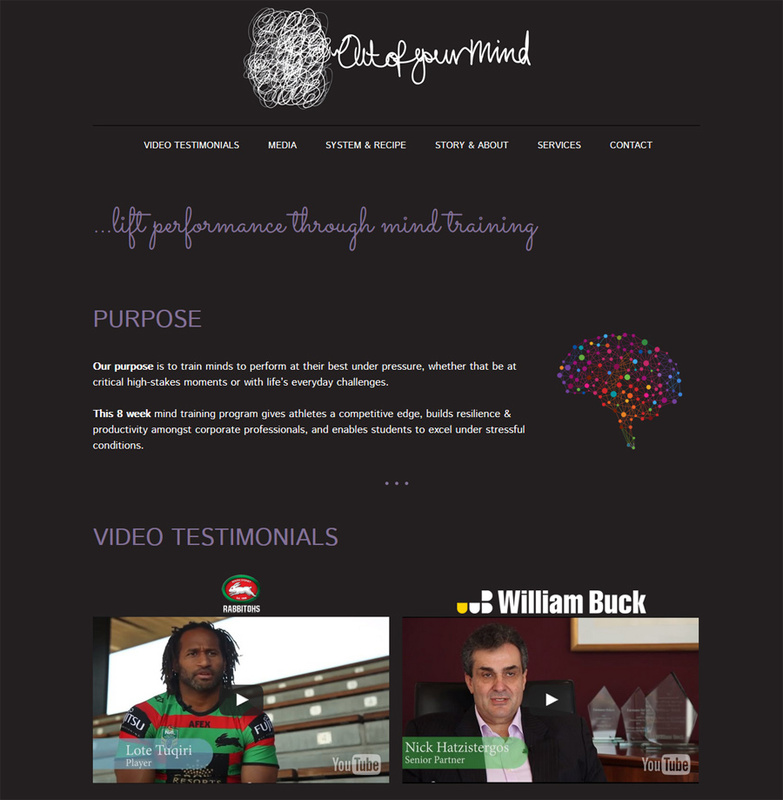 Section of outofyourmind.com.au as viewed of Firefox on Android mobile phone. As more and more people view and visit website on their mobile phones, it is vital that the content is easily read and navigated on mobile devices. Things a web designer should consider include: font size and colour as well as ease of navigation and download speed.